The Centre for Digital Media was established through a groundbreaking education consortium of four leading academic institutions: University of British Columbia, Simon Fraser University, British Columbia Institute of Technology and Emily Carr University of Art + Design. Located in the heart of East Vancouver on Great Northern Way, the Centre for Digital Media is a thriving mixed-use campus, home to a pioneering graduate program, game studios, art galleries, start-up spaces, student housing, greenways, bikeways and transit. 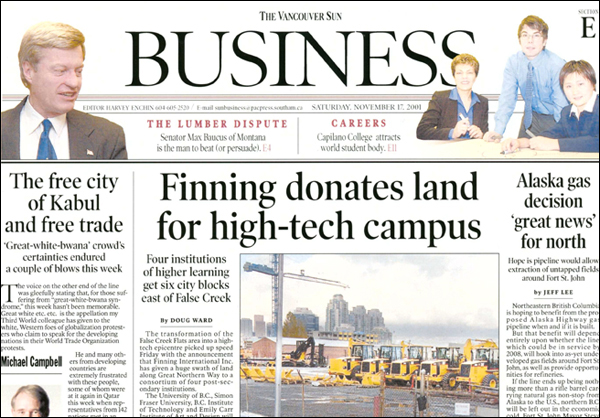 In 2001, Finning International Inc, the world’s largest manufacturer of Caterpillar tractors, donated land to British Columbia’s leading post-secondary institutions. This gift resulted in the Centre for Digital Media and paved the way for our integrated learning and research community. In 2006, the Province of British Columbia granted $40.5M for start-up, capital and endowment funds to establish the Centre for Digital Media and the Master of Digital Program. Today, talented students from across the globe come to the Centre for Digital Media to work with world-class faculty and industry professionals. As we celebrate the first decade of the Master of Digital Media program, we’ve had about 400 graduates, fostered 19 start-ups and launched 95 percent of our alumni into their chosen digital profession. Since our early years, we have grown from an industrial tract of land into a vibrant community where about 5,000 people now study, work and/or live. And our dedication to "community, collaboration and transformation" continues to inspire. 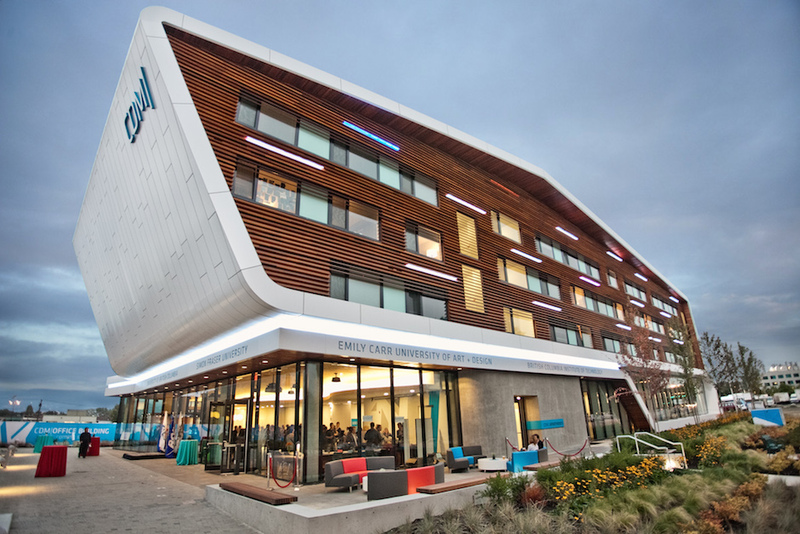 Emily Carr University of Art & Design has recently relocated here with Canada’s first purpose-built arts university, and Finning has announced its decision to come full circle, returning its global headquarters to our district as an anchor employer. Join us where creativity and technology converge: the Centre for Digital Media. We respectfully acknowledge that the Centre for Digital Media District is located on the traditional and ancestral territory of the Coast Salish peoples, in particular the Musqueam, Squamish and Tsleil-Waututh First Nations. Look inside the Centre for Digital Media.